I really love writing this blog. But we all need a teeny break every once in awhile. And since I have family coming in for the weekend, I’m taking a week off from S.o.a.C. So I hope you all likewise had the opportunity to grab some R & R this weekend and I’ll see you next week for the 3rd installment of Syndromic Forms of Autism. 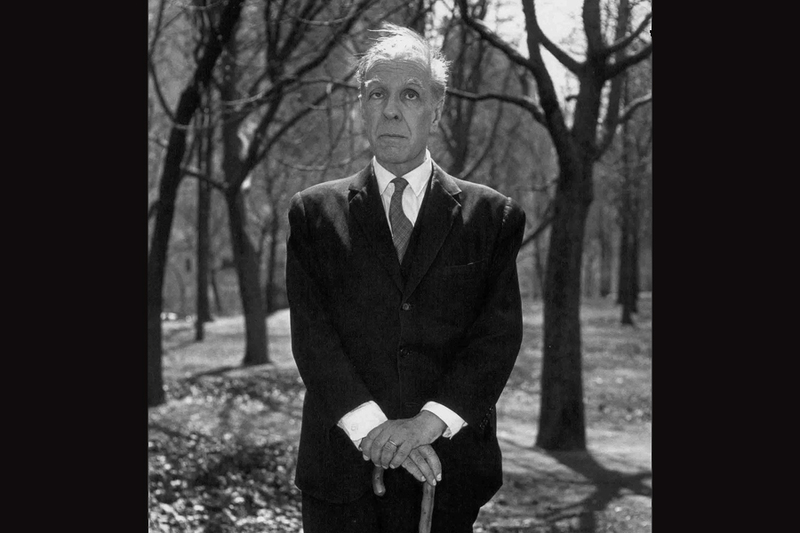 Borges, quite a personality himself. I want to tear down the exceptional preeminence now generally awarded to the self, and I pledge to be spurred on by concrete certainty, and not the caprice of an ideological ambush or a dazzling intellectual prank. I propose to prove that personality is a mirage maintained by conceit and custom, without metaphysical foundation or visceral reality. I want to apply to literature the consequences that issue from these premises, and erect upon them an aesthetic hostile to the psychologism inherited from the last century, sympathetic to the classics, yet encouraging to today’s most unruly tendencies. I have noticed that, in general, the acquiescence conceded by a man in the role of reader to a rigorous dialectical linkage is no more than a slothful inability to gauge the proofs the writer adduces and a vague trust in the latter’s rectitude. But once the book has been closed and the reading has dispersed, little remains in his memory except a more or less arbitrary synthesis of the whole reading. To avoid this evident disadvantage, I will, in the following paragraphs, cast aside all strict and logical schemas, and amass a pile of examples. I, as I write this, am only a certainty that seeks out the words that are most apt to compel your attention. That proposition and a few muscular sensations, and the sight of the limpid branches that the trees place outside my window, constitute my current I. No one, on thinking about it, will accept that the self can depend on the hypothetical and never realized nor realizable sum of different states of mind. What is not carried out does not exist; the linkage of events in a temporal succession does not refer to an absolute order. They err, as well, who suppose that the negation of personality I am urging with such obstinate zealotry refutes the certainty of being the isolated, individualized, and distinct thing that each of us feels in the depths of his soul. I do not deny this consciousness of being, nor the immediate security of “here I am” that it breathes into us. What I do deny is that all our other convictions must be adjusted to the customary antithesis between the self and the non-self, and that this antithesis is constant. The sensation of cold, of spacious and pleasurable suppleness, that is in me as I open the front door and go out along the half-darkness of the street is neither a supplement to a pre-existing self nor an event that comes coupled to the other event of a continuing and rigorous self. If you’re interested in reading more on The Nothingness of Personality, see Borges’ Selected Non-fictions. I highly recommend them.